New book, 144 pages. 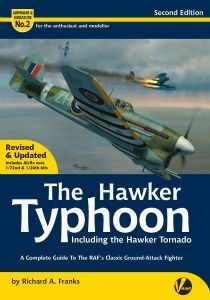 This second edition of the ninth book in our much-acclaimed series contains 160 pages packed with vital information that no active modeller and late WW2 Luftwaffe enthusiast should be without. 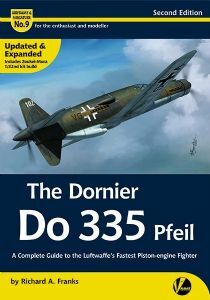 The Dornier Do 335 contains: 40+ pages of technical information, 20+ pages of walk-around images and technical diagrams, 5+ pages of camouflage and markings, 25+ pages of model builds and modelling information, 200+ photographs including wartime images, Colour side views and four-views by Richard J. Caruana, 3D isometric views of all prototype and pre-production variants by Wojciech Sankowski, Specially commissioned extensive full kit builds by Libor Jekl, Steve Evans and Dani Zamarbide of the 1/72nd scale Revell (ex-Dragon) Do 335A-1, 1/48th scale Tamiya Do 335A-12 and 1/32nd scale HK Models Do 335B-2 kits, Specially commissioned front cover artwork by Jerry Boucher, A set of 1/48 scale fold out scale plans.